Start Mobile Banking Today. It’s Safe. It’s Easy. It’s Convenient. It’s FREE. 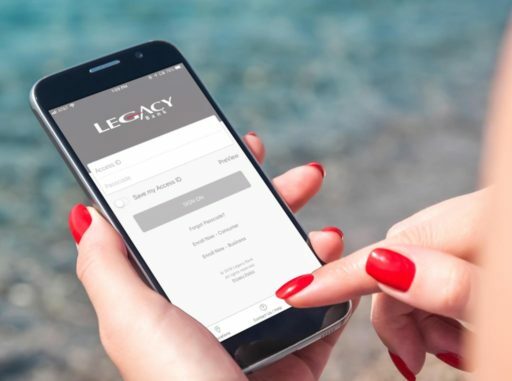 Legacy’s Mobile Banking apps are available for the Apple iPhone and Android-powered devices. You can find them in their respective App stores and download them straight to your phone. You must be enrolled in Online Banking to take advantage of Legacy Bank Mobile Banking.